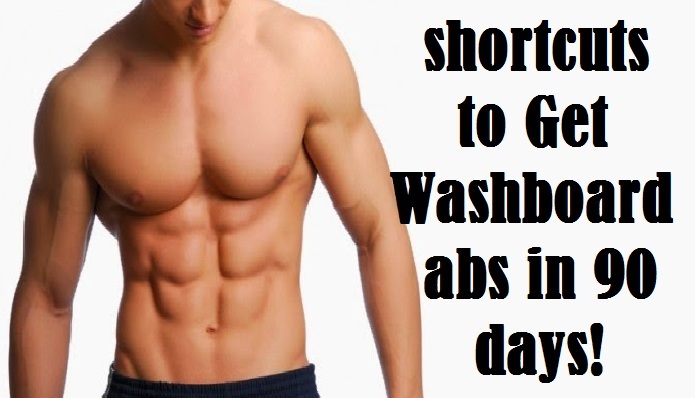 You are here: Home / Diet & Fitness / Amazing Shortcuts to Get Washboard abs in 90 days! “Mirror, mirror on the wall, who’s got the best abs of them all!” is what you will be chanting once you have transformed your body over the next 90 days. Most people think that getting abs is extremely difficult, however it doesn’t need to be as long as you incorporate the right amount exercise and a diet programs that will force your body to maintain a calorie deficit and allow your body to create those clearly defined abs that dreams are made of. Courtesy of the guys from Little Bloke Fitness, here’s what you need to know to get your abs in 90 days. It all starts with tracking and measuring your progress. Use an app like MyfitnessPal or a FitBit to monitor and track your calorie intake vs. the amount of calories that you have burned throughout the day. The goal is to maintain a calorie deficit to get you the abs that you desire. The higher the deficit, the sooner you should start seeing your abs. Start by improving your diet. Your diet is the most important factor for achieving your fat loss goals and getting the abs that you want. You can do the right exercise and burn the calories, however if you eat the wrong foods that give you a calorie surplus, you won’t achieve your goal. There are other diets such as the Atkins or Ketogenic diet, which focus on protein and fats that make up to 100% of the calorie intake and minimizing any carbohydrate intake to ensure that the body runs at a calorie deficit. Cardio is the key to giving you the perfect abs. Your abdominals will start to show once your body fat starts to fall below 10%. You can achieve this solely by dieting and regular exercise, however cardio is the catalyst that will get you there much quicker. Burning a minimum of 500 calories a day is pretty much a guarantee that you will get the abs that you desire, as long as you also maintain a good diet and exercise regime. There are several ways to do cardio; however running on a treadmill is the ideal way to burn your body fat quickly. A quick 20 minute run could see you burn 300 calories, however a 45 minute workout at a slower pace will get you the 500 calories that you need to burn to get those washboard abs. Do resistance weights to build muscle. You want to develop your muscles while burning fat at the same time. As your muscles develop, it will use the fat reserves in your body as energy and contribute to losing your overall body fat. The key to succeeding by doing intense workouts that will involve compound movements. You will need to choose the right gym equipment to exercise the muscles all over your body; so it is best to incorporate compound or full-body movements to accomplish this. You should incorporate the following into your exercise routine. This is a great exercise that will work out the upper chest, front shoulders and triceps at the same time. As you become stronger and incorporate more repetitions, your body will gain a more sculpted look. Aim for repetitions of 10 to 15 for 3 sets. Aim to do this exercise 1-2 times per week. The back is another large muscle group that often gets ignored. The more you work out the muscle, the more it will source energy from the body’s fat reserves. Dumbbell rows are a great compound movement because they work out the inner and outer muscles of the back, as well as the biceps, triceps and core. Use a heavy resistance weight that will allow you to complete 10-15 repetitions for a minimum of 3 sets. If you want to get a great upper body shape, then this is the exercise for you. The movement incorporates the head of the shoulder, the very upper chest and triceps. 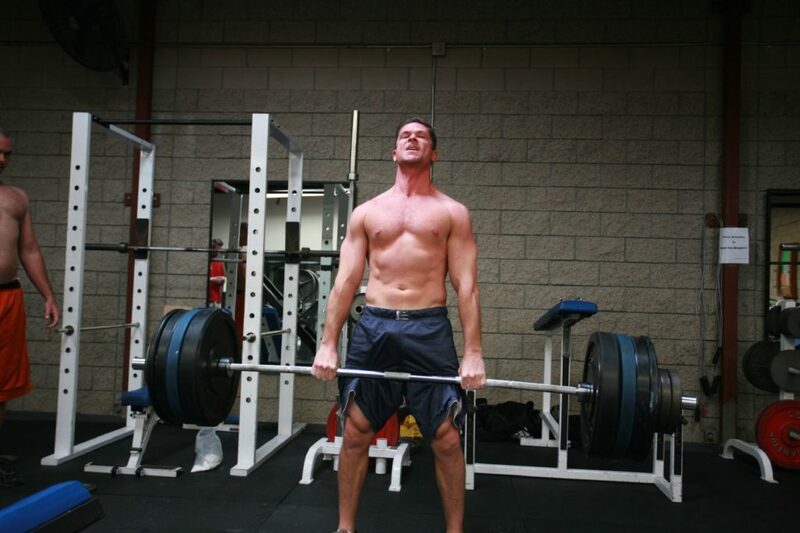 You want to keep the movement intense with repetitions of 10-15 over 3 to 5 sets. The key is to add as much resistance weight as possible while completing the repetitions. This is a great full body movement that will work your core, back, traps, hamstrings, glutes, calves and forearms. You should take great care when learning the movement and work yourself up to heavier weights where you can complete more repetitions and weights. Repetitions of 10 to 15 are ideal at 60-80% of your maximum lift weight. The movement will help to strengthen and define most of your body’s muscles, while forcing the body to use the body’s fat as an energy source. Another full body movement that incorporates the leg and core muscles. It is a great way to workout your abs without focusing on abdominal movement. You want an intense workout by doing heavy resistance weights for 8-10 repetitions. Aim for 3-4 sets. Put those abs to work. Your abs will be sitting behind a layer of fat that covers your stomach. Once you remove the fat, you will be able to see your abs. The thing is your abdominal muscles work the same way as other muscles and if you don’t include them in your workouts, you will have a flat stomach, but you won’t have the cuts that will make a deep visual impression. Exercises that will allow you build the abdominal muscles and create more definition in your mid-section include the following. Aim to do these with a resistance weight that will allow you to max out at 15 repetitions. This movement should start to make the top of your abdominals pop! Knee raises are great for building your lower abdominals. Quite often, the other exercises neglect the lower abdominals, which leaves people with a 4-pack instead of a complete 6 or 8 pack. Include 3 sets of 15 repetitions three times a week as a part of your exercise program. If you want to get the V-shape cut, then you need to do straight leg raises. This exercise is difficult, however it is the exercise that will polish off your ‘cover model look’. You will need to do at least 3 sets of 15 repetitions every week. This guide is guaranteed to get you the abs that will make heads turn and others that see them turn green with envy. Now it is up to you to take the challenge and make it happen. Set your goal, get motivated, commit to change and transform for the better!